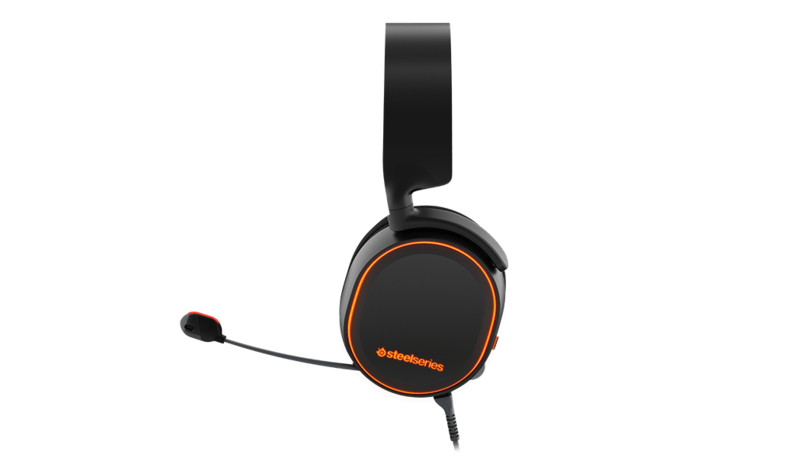 SteelSeries Arctis 5 headsets on paper look like the sweet spot for most PC gamers. Priced at $99, you get a set of cans with solid build quality, fancy LED lighting, DTS:HeadphoneX support, and a retractable microphone with noise cancelling capability. 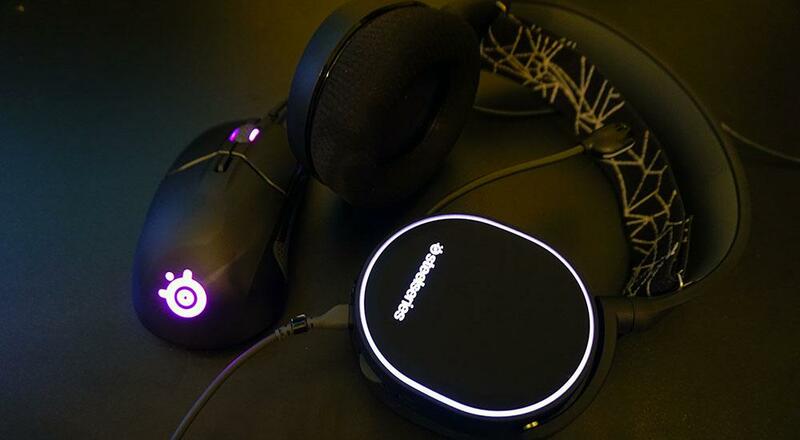 All of these things should be plenty for any gamer, but when you combine it with the SteelSeries Engine 3 software you add on equalization customization, led customization, noise cancelling thresholds, and dynamic range compression. Comfort wise the headsets are light weight with nicely padded ear cups. There's a two piece cable that connects the headset to your PC via USB; the first stop in that connection houses a balance knob to adjust between chat and in-game audio. It's weighted and sits pretty firmly on a desktop, but it's not too heavy that you can't just let it hang. There's also a volume wheel on the left ear to adjust overall volume. The mic slides in an out of the left ear and bends quite well to just about any position required and while muted, glows red so you don't run into that embarrassing moment of "sorry, I was talking on mute." In terms of overall audio quality, these are on par with my A40s, easily, if not a little richer in the mid and low range. It falls short in the high range in my opinion, with sounds like bullet pings getting lost in the detail. I utilized a headphone benchmarking tool and the low end looks to "bottom out" just below 30Hz and the upper end seems to start around 14Khz - pretty much confirming my suspicians that the high end leaves a bit to be desired. Voice chat via the mic sounded smooth according to my gameplay buddies, and as far as I could tell, the noise cancellation worked well. I played a wide range of titles including Player Unknown's Battlegrounds, Sudden Strike 4, Destiny 2, Diablo 3, and Sonic Mania. For games that were "busier" in the audio department, the Arctis 5 stood out. Explosions in war games like PUBG and Sudden Strike 4 were rich and directional and spell effects in games like Diablo 3 seem to surround me. Destiny 2 stood out as the best "directional" experience, thanks to the DTS: HeadphoneX support, easily discerning where my enemies were aurally. My only gripe is to truly get get good volume out of them comes at an expense - namely some amplified hiss. This isn't an issue if the game is busy, like say in Destiny 2 or Diablo 3 - but in a game like PUBG where silence is everywhere, it's distracting. I'm still torn as to whether or not these will be my day to day cans - I like that I don't need a separate AMP and the ease of integration for split chat and in game audio works well - even with something like Discord. The audio quality issues are minor and really only seem to affect a few titles, so individual preference may vary based on the games you typically play. I'm extremely picky when it comes to my gaming mouse. I've gone through my fair share of them over the years dating back to the trusty Intellimouse Explorer, usually trying out a handful before settling on a new one for an extended time. Currently that belong to a Razer Chroma, one of the most comfortable mice I've used. The Sensei 310 is similar in size, but caters to the ambidextrous crowd. 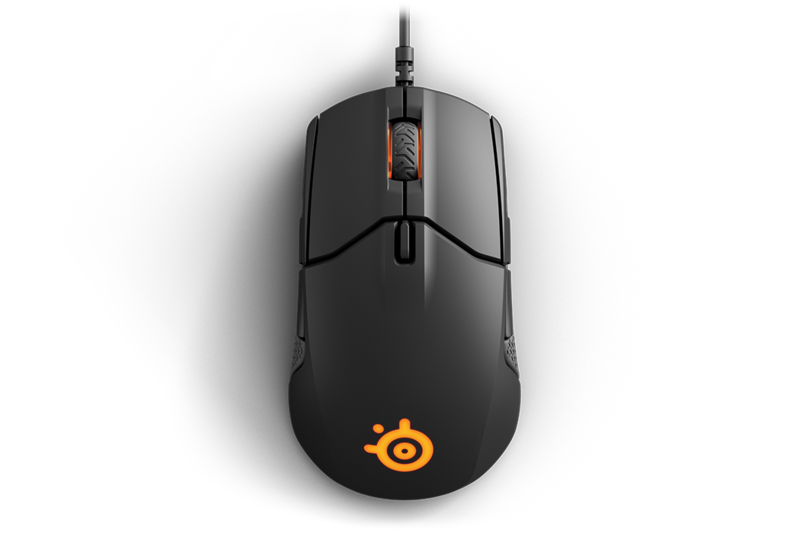 I'm a lefty, but have always used a mouse in the right hand; the Sensei 310 is equally comfortable in both and the drivers allow you to customize if you're a southpaw player. I actually had no trouble using the mouse in my left hand for testing purposes. Both sides of the mouse have a rubber textured "grip" area with two buttons located above making this a six button mouse. There's a middle button located at the top that can be used for switching DPI on the fly between two settings of your choosing - and you can literally set this to anything you want in the Steel Engine between 100-12000 with 100 CPI increments. This is handy when you need to switch between quick movements and slow methodical aiming. I set mine at 1200 and 2100 respectively. I put the Sensei 310 through all the same paces as the Arctis 5 in terms of games, and it felt great. I never felt as if I was fighting the mouse, movement was smooth, the button placement was comfortable...it just works. I even used the mouse for my daily job which involves a lot of Excel and other types of desktop activities and found it extremely comfortable for those long heavy use sessions. Overall the Sensei 310 is a contender for your everyday mouse meets gaming mouse and it's priced at just $59.99. The build quality feels as though it'll last too, with heavy duty coating needed in the "higher traffic" areas of the mouse. If I had to complain about something with the mouse, it's the lack of a braided cable, instead you have a standard rubber coated one which tends to drag on desks. It's a minor thing though in an otherwise fantastic mouse. Page created in 0.6191 seconds.